Wargames used to — and still often does — mean legions of tanks roaming across battlefields, and a bunch of soldiers playing make-believe with really big guns. These days, it's all about corralling a bunch of nerds into an old tin can, and giving them a doomsday scenario straight out of 24. Recently, our friends over the pond in the UK have been freaking out about their lack of cyberwarfare capabilities. To try and plug the gaping hole, the government (and interested private companies) have been trying to attract up-and-coming amateur hackers into their ranks. 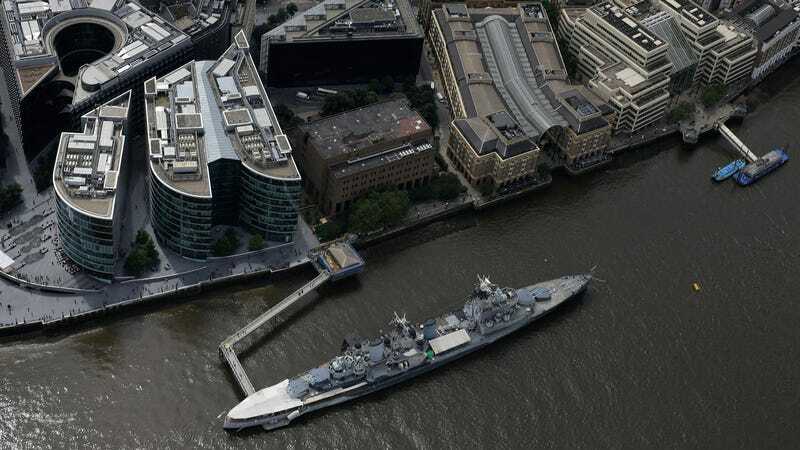 The culmination of this effort is the Cyber Security Challenge: a year-long series of competitions between amateur hackers in various scenarios, culminating in a two-day challenge on board HMS Belfast, a retired cruiser moored in the heart of London. The candidates are faced with a classic Hollywood dilemma: the bad guys have got control of a naval gun system, and the only thing standing between them and large-caliber destruction are our amateur cyber-heroes. In a less apocalyptic side-challenge, the competitors also need to scan for vulnerabilities with IT and healthcare systems, to make sure the 'Flag Day Associates' don't shut down anyone's life support too soon. The challenge also focuses on white-hat hacking within an appropriate legal and ethical framework: it isn't some kind of ends-justify-the-means Bond rampage (sadly).